Choosing the right shower is one of the secrets to a happy home. Posted By Edward, 24th Jun 2016. 3 Minute Read. Adding the right shower can be a fantastic feature of your home! Your house guests will rave about it, you'll have reason to get out of bed on those cold winter mornings and even your 'nothing impresses me' teenager will be content if you choose the right shower for your bathroom. In a rush first thing in the morning? Electric showers heat water as they go so there is no need to wait around for the perfect temperature. 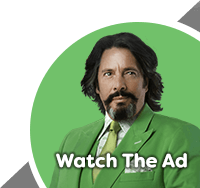 They heat water directly from your home's cold water supply so there is money to be saved too by not having to tap into your hot water supply. Electric showers are a practical, reliable and affordable option. One area where electric showers used to let themselves down was in the looks department. Encased in an ugly off-white plastic box; electric showers never previously did much to compliment the look of your bathroom. Thankfully. manufacturers like Triton, Bristan and Mira have developed stylish new ranges that certainly have the designer look without the designer prices. 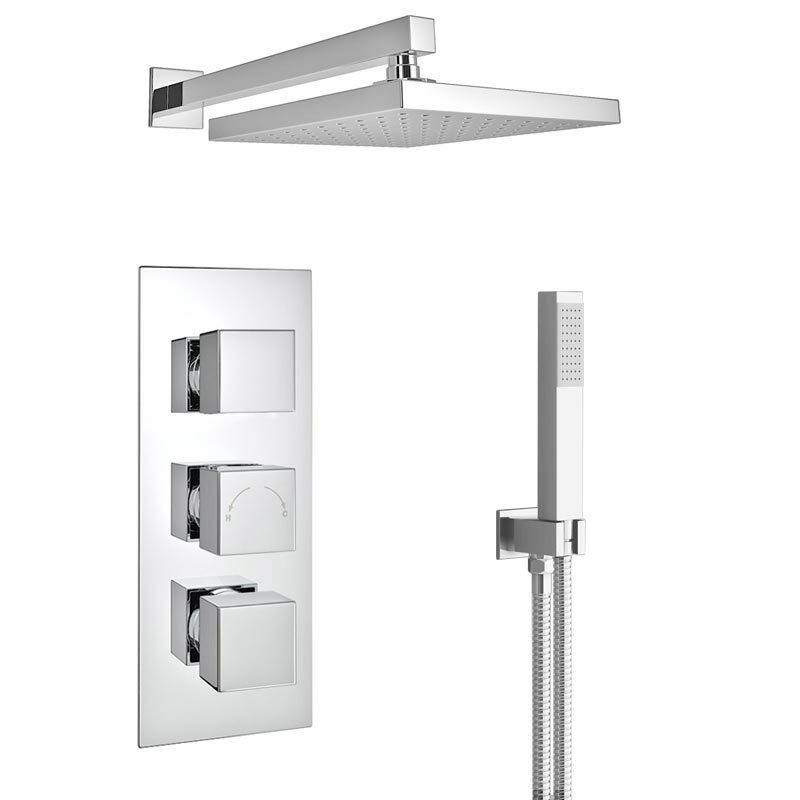 One of my favourite 'stylish' electric showers is the Aspirante range from British manufacturer Triton, shown above. Tower showers (also commonly known as panel showers) are a luxury shower option that are perhaps more affordable than you may have thought. Tower showers are an all-in-one unit that typically comprises of the conventional overhead shower, a hand held shower head and additional features like massaging body jets. Tower shower prices start from just under £200 and go all the way up to the more expensive Hudson Reed tower showers at over £700. A nice option to consider is the Milan, seen above, which has all the features you will need and also a value for money price to boot! Thermostatic showers regulate the temperature of the water flowing out of the shower meaning there is no risk of scalding or being taken aback by a jet of freezing cold water first thing on a winter's morning. This makes them a great option for family bathrooms. 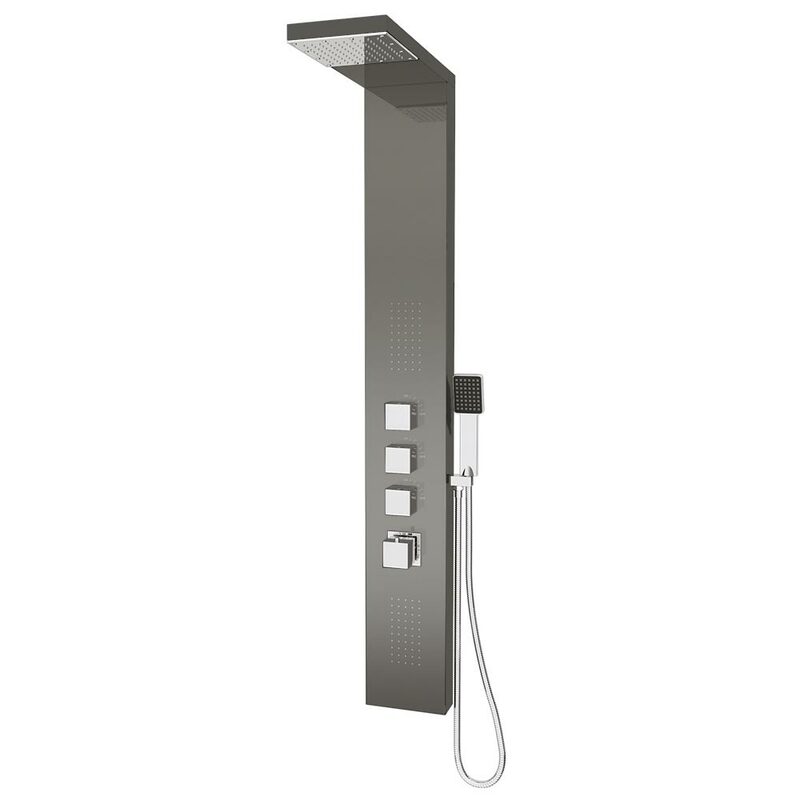 The Milan tower shower highlighted in the last section is a good thermostatic option however the Milan thermostatic shower, pictured above, should not be ignored. Minimalist styling and a square rainfall effect shower head make this shower a luxury option that will complement any contemporary bathroom design. 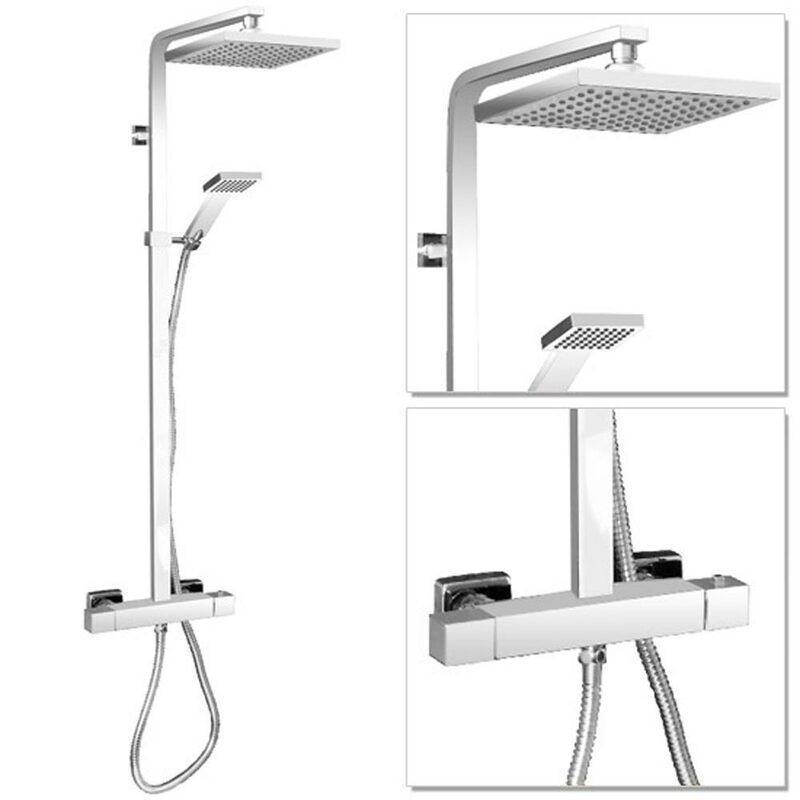 Shower sets typically consist of a valve (to control the shower), slider rail (to move the shower head) and a shower head (consisting of the head and arm). 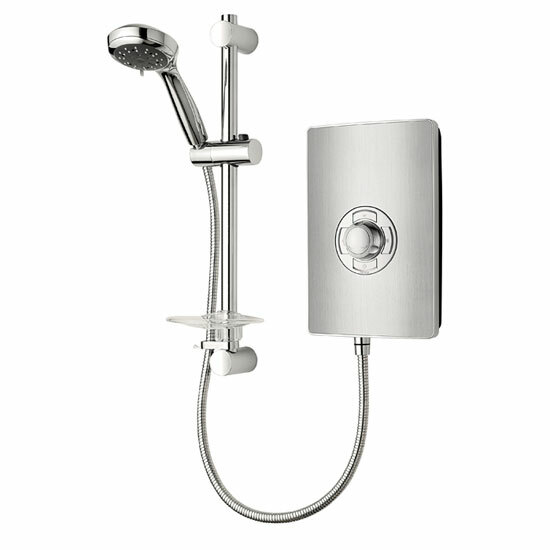 The shower set is operated by the integrated shower valve which is placed on the wall next to where you stand in the shower. When it comes to buying a shower set you can either buy a complete shower set or buy the individual components yourself. This gives you the freedom to make sure the shower fits into the design and style of your bathroom. Above all the other options above: shower sets can certainly be the most stunning showers when fully installed.